Mada Seghete grew up in Romania where the curriculum was heavily focused on learning math. She used to go match contests and used the money she won as prize to buy stuff. For example, she got her first backpack from the money she won in one such contest. These early years in participating in competitions and winning prize money, introduced Mada to the notion that she could work hard and see results. Years later, Seghete went to Cornell University and decided to study computer engineering. The idea of how computers worked and how processors are built seemed fascinating to her. After completing her graduation in 2005, Mada went for M.S. in MS, Management Science and Engineering from Stanford University. Post which she joined Deloitte as a Business Analyst and went on to work with Yola.com. In 2014, Mada also completed her MBA in Entrepreneurship from Stanford, a period during which she co-founded Kindred Prints. 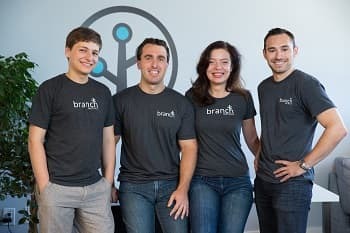 Rest is the story of how Branch.io came to life and how it's grown. Read on to know more about Mada's story in our exclusive interview with her below. CE: When did you first think about the idea behind Branch? What was the motivation to develop this platform? 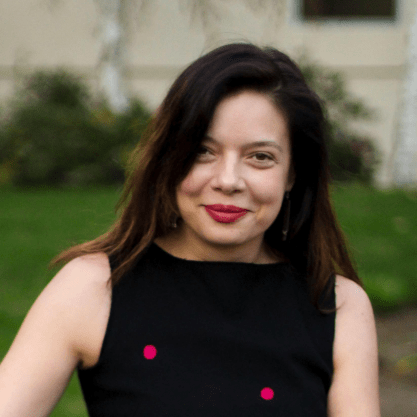 Mada Seghete: The idea of Branch came about while we (me and my three other co-founders), were working on our first startup while attending the Stanford Graduate School of Business. It’s a mobile app called Kindred Prints, which allowed you to print and ship custom photo books from your phone. The app was doing fairly well – Apple ended up featuring it in the App Store several times. However, the team kept encountering problems that prevented it from growing further – sharing and referrals were the two pieces we had the most challenge with. We wanted to create a URL that users could share with others or reference later which would point to the content they created with the Kindred app – that would have made the sharing experience a lot smoother on mobile. However, linking on mobile doesn’t work the same way on the web. There was no effective linking mechanism to point users to a specific piece of content inside an app, otherwise known as deep linking. That’s how the team came up with the idea to make a more intelligent deep link, which keeps users flowing through apps in a way that’s similar to how the web works, rather than the isolated, siloed software that mobile apps had been accessed. CE: What important problem does Branch solve? 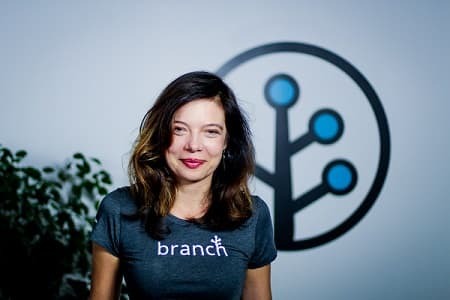 Mada Seghete: Branch solves the broken linking experience on mobile to ensure that users can always be routed to the in-app content they’re seeking for while providing full-funnel attribution data for developers to optimize the flow. In short, Branch will serve as the mobile linking infrastructure for all apps. The more fundamental problem Branch will solve in the long term is the broken app discovery mechanism. We will roll out tools to unlock new discovery channels and allow developers to surface app content and build a more open mobile app ecosystem. CE: What challenges does Branch face on the technical front? We want to build the best deep links that would work ANYWHERE regardless of the platform, system, browser, standard, or device. That means Branch deep links need to cover over 6,000 and growing edges cases to ensure our customers can always rely on Branch to deliver the best mobile experience to their end users. That, right there, is a big technical challenge. Luckily, we have one of the most talented and dedicated engineering team that has made that happen, and Branch deep link has now become the most widely adopted deep linking standard in the mobile ecosystem. CE: How does Branch differentiate itself from the competition out there? Best routing: Branch deep links provide the best and the only mobile routing experience that works across all platforms, systems, devices, browsers, and standards. Cross-channel growth solutions: Based on our robust core deep linking technology, we have built a complete cross-channel solution that enables mobile developers and marketers to drive effective user acquisition from their website, social media, email campaigns, SEM, and more. Comprehensive attribution: With Branch, you’ll also get full-funnel attribution data from every click, install, re-open, or any custom event attribution at the link or campaign level to understand your mobile growth and engagement. Dedication to partners (what other companies call customers): A top value that Branch upholds across the entire organization is Partners First. We strive to ensure that all customers have a great experience at any stage of their journey with Branch. And we have the best of class integration engineering support team who are dedicated to providing fast and helpful responses to our partners. CE: How many users/clients does Branch have? How did you go about acquiring them? Branch powers deep linking for over 15,000 leading mobile brands across the world including Airbnb, Starbucks, Target, Snapdeal, MakeMyTrip, Pinterest, Amazon Music, and many more. We have enjoyed rapid growth since the launch of Branch in early 2014. 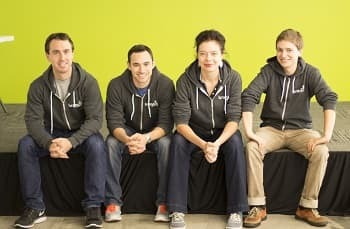 Aside from having a great product that solves a real problem and a dedicated team that always have the partner’s interests at heart, we have an amazing digital marketing team that covers meetups and events, mobile growth community, public relations, and content marketing to make sure we’re always advancing the Branch messaging and reaching our audience from all major channels. CE: How did Kindred Prints happen? What were the challenges you faced while running Kindred Prints? What was your learning from there? Mada Seghete: Kindred came from an idea we had based on our experiences taking and sharing photos. While we take photos with our phones, our parents and grandparents still consume photos in printed format. We built Kindred to help bridge that gap and make it easy for the young generations to print from their phones and send photobooks to their loved ones. CE: Which feature of Branch are you the most proud of? Mada Seghete: I am proud that Branch links make the lives of mobile developers better. The mobile ecosystem has evolved to be fragmented and complicated - from different platforms, to different browsers and channels - linking behaves differently and uses different standards. I am proud that we are always on top of the changes that happen in the ecosystem and make sure our links work - so developers don’t have to and they can focus on building awesome apps. As a developer myself, I love products that make other developers’ lives easier. CE: What advice would you give to entrepreneurs who are just starting out? Mada Seghete: Keep trying, don’t be afraid to fail and don’t get too attached to ideas. We failed a few times and kept trying - and that’s totally ok.
CE: What are the future plans for Branch? How do you plan to scale up from here? Mada Seghete: Our vision for the future is to improve mobile discovery by help solve app discovery. Apps are isolated islands and the content in those apps is hard to reach and hard to find - we want to use links and data to change that. CE: What is the best and worst part about running a startup? Mada Seghete: The best part is putting together an amazing team. I feel lucky every day with the caliber of people that work with us and help us build an amazing product. Another great part is being so close to customers and being involved in shaping the product, brand and growth of a company. The worst part is probably the hours - as a founder your startup is your life and that means a lot of sacrifices in your personal life to make your product succeed. Mada Seghete: I think a great message is that you can always do better - that means you should strive to improve but also find the moment when something is good enough. There is no such thing as perfection - so just keep building and iterating until something sticks.